Bashar Chalabi is the Chief Enterprise Architect at TSYS Inc. (NYSE:TSS), one of the largest payment processors in the world, facilitating over 50 million payments a day. He serves as a board member of Insaan Group. Bashar holds a BSc in Computer Science and Economics from Northeastern University, Boston. Insaan connects philanthropists with those in need across the Indian Ocean region. Our mission is to engage in high-impact philanthropy that changes the lives of many, for better, for good. Insaan works with philanthropists who want their giving to be more impactful. We do this by investing in innovative social enterprises in the Indian Ocean region that create opportunities for the poor through education and entrepreneurship. 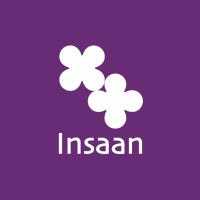 Insaan group is an foundation where you can read out our various contribution made on various activities. Its a source where you can contribute to the needy person.